An ever-increasing number of businesses across all industries and sectors have made the journey to the cloud in recent years. There are a multitude of advantages to introducing cloud technologies to any business. Different sectors will benefit in different ways, but the general benefits of the cloud remain the same, it is their specific implementation that changes. The cloud offers many benefits for businesses and their employees. Any business that wants to remain competitive in the digital age will want to look at implementing cloud technologies. But the rush of businesses looking to shift more of their operations online has overwhelmed many service providers. The speed and the magnitude of these changes has led to the emergence of more complicated eco-systems, as businesses and service providers can ill-afford the time for a careful transition and integration to the cloud. Moving to the cloud is a complicated and involved process at the best of times, so working with a managed service provider (MSP) will ensure that your transition proceeds as smoothly as possible. An MSP is a business which is responsible for managing the IT infrastructure, and often end-user systems, on behalf of a business. This is generally provided under a subscription model, whereby the business pays a monthly rate in exchange for round-the-clock management of their IT systems. With the advent of cloud technology, these kinds of services can now be provided remotely. In utilising the cloud, businesses can save themselves money in both the short and long terms. One of the ways that cloud solutions, in particular IT cloud solutions, allow businesses to save money is by granting them access to knowledge, hardware, and software, that would otherwise be very expensive to acquire and bring in-house. But, if businesses don’t undertake their migration in the right way, they will be exposing themselves to an unnecessary level of risk. The services of an MSP can be invaluable in mitigating these risks. 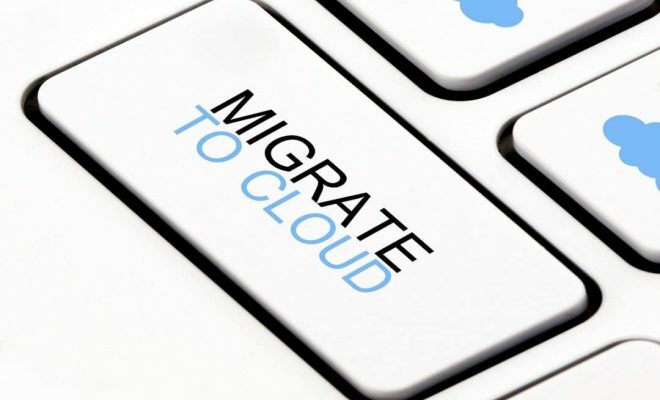 Regardless of your specific motivations for migrating key areas of your business to the cloud, you should be undertaking your migration with consideration for the quality of the result. It is when businesses become fixated on achieving cloud migration at all costs that they begin to make mistakes. When shortcuts start looking attractive, you are going to have problems. Once you have completed the initial setup for your various services, you will then need to focus on ensuring that they deliver on their intended purpose, whatever those might be. For example, if you are introducing cloud services to allow your employees to log on to the business network from home and work remotely, then uptime will be an important metric. Uptime refers to the percentage of the time that your network and services are available. Anything less than 99% uptime is unacceptable. No one can guarantee that your network will be up 100% of the time, but a decent MSP will put a number of contingencies in place which will mitigate any unavoidable disruption. On the other hand, if you leave the setup of your network to IT staff, who will also be dividing their time between other duties, you are more likely to end up with a slow and unreliable network. Remember, time spent either unable to access the network, or waiting for slow services to load, is time that your employees are unable to take advantage of your cloud system. This means lower efficiency and lost revenue. There’s no sense exposing your business to these when it’s so easy to mitigate the risk. Moreover, while cloud computing is one of the most important fields in all of computing, it is still a relatively new field. As such, there is a major lack of expertise across the computing sector in general. Fortunately, the skills of a relatively small number of people can go much further when they are being disseminated through cloud technologies. Businesses who don’t have the necessary cash to acquire certain skillsin-house can instead migrate to a cloud service which includes access to people who do possess the requisite knowledge. Another key selling point of an MSP is their disaster recovery capabilities. Should the worst occur, you will want to be certain that your data will be kept safe, and that any downtime will be minimized. MSPs tend to work within one particular sector or industry, meaning that they will be able to provide tailored services depending on the specific client they are faced with. Migrating to the cloud is no small undertaking. In order to ensure that things go off as smoothly and quickly as possible, it is wise to engage the services of an MSP. Choosing an MSP to help you migrate to the cloud and maintain a high level of service once you’re there is an excellent opportunity to enhance your business’s capabilities and credentials. Making the right choice now could have a profound impact on the future of your business, whereas an incorrect choice could exact a heavy price. It will therefore help if you are entering into things with some idea of what to look for in potential MSPs. In the interests of ensuring that the rest of the process proceeds as smoothly as possible, you should begin by clearly defining exactly what it is that you need from your MSP. If you aren’t able to effectively communicate to potential MSPs what it is that you want, you will find it much more difficult to match yourself with the perfect service provider. When you are considering your needs and requirements, it is important to keep your long-term objectives in mind. While you will feel the benefits of an effective cloud system instantaneously, you should be viewing it as a long-term investment from the beginning. Whether your business is looking to implement cloud services for the first time, or you are looking to review your current arrangements, seeking out an MSP can be the best move to make. However, it is important that you begin your search with purpose, not just for the sake of it. Businesses are constantly looking for ways to reduce their costs and improve their service. Often these goals are contradictory; usually improving the service in one area will require reducing spending somewhere else.But when it comes to MSP, choosing the right provider will allow you to deliver higher quality services much more efficiently. If you already have an MSP provider, but you feel that they have not been keeping up with the times and are no longer offering a good value service, it may be time to start looking at other alternatives. Remember, cloud computing has become significantly more important in the last few years, and there is every indication that this trend will continue. If you want to future proof your infrastructure – and what business doesn’t want to be prepared for the challenges of the future -then choosing the right MSP is an essential step to take. Any business that wants to be able to seriously compete in the current climate needs to embrace cloud technologies. The cloud offers businesses endless potential means to improve the level and the efficiency of the service they offer. Choosing the right MSP to handle the migration and management of cloud systems is a crucial part of successfully migrating to the cloud.